Dating fellow idols is not a priority for Dreamcahter for now, the girl group said in a recent interview. In the recent interview with a local magazine bnt, members of the seven-piece band said they are putting work before love at the moment and ruled out dating fellow idols. When the magazine asked whether there had been advances made by male idol stars, the girls said compliments on looks for their strong makeup are all they get. When it comes to ideal types of boyfriends, Siye said she does not warm to men who are not on the same wavelength as her and that smooth communication is important. Yoohyeon was more specific about looks and said that she prefers a sharp-looking man, citing actor Kim Bum as an example. 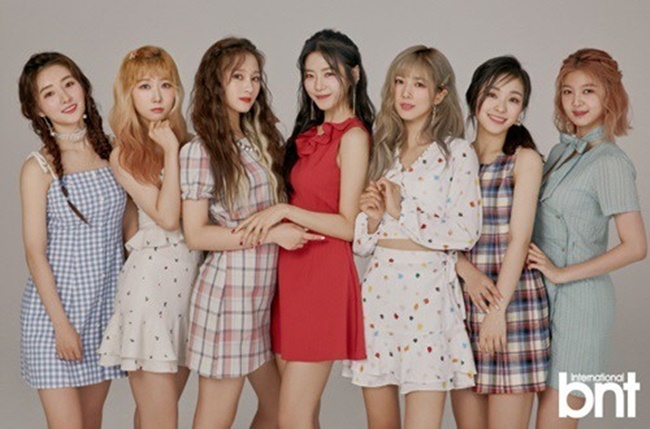 The group recently ended the promotion for their latest album “You and I” and will embark on their international tour stopping at Vietnam, Japan, and South America. Dreamcather is known to be the first K-pop girl group to take on rock and metal as their musical identity, distinguishing itself from many pop-heavy acts in the idol industry.